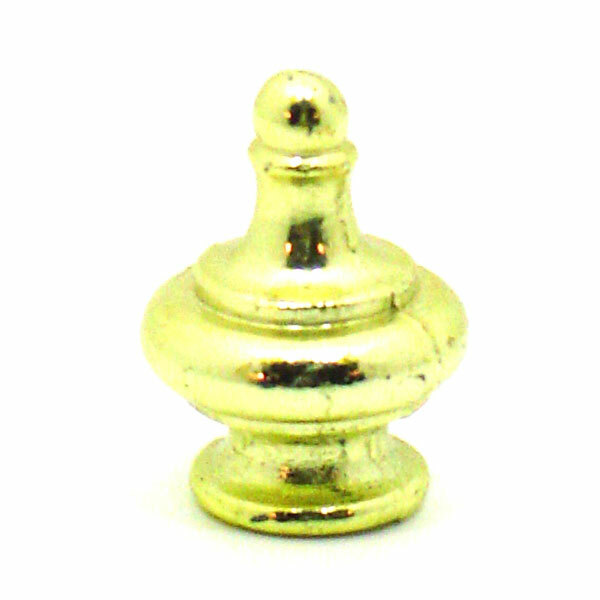 This small brass lamp finial makes a nice topper for a smaller lampshade. It is 5/8" high and gold colored brass. These are not solid brass but brass/gold color. The inside diameter is 1/4", which means they fit a 1/4" #28 fine thread pipe. Why not add a small change to your existing lamp with one of these finials available at my eCrater store.